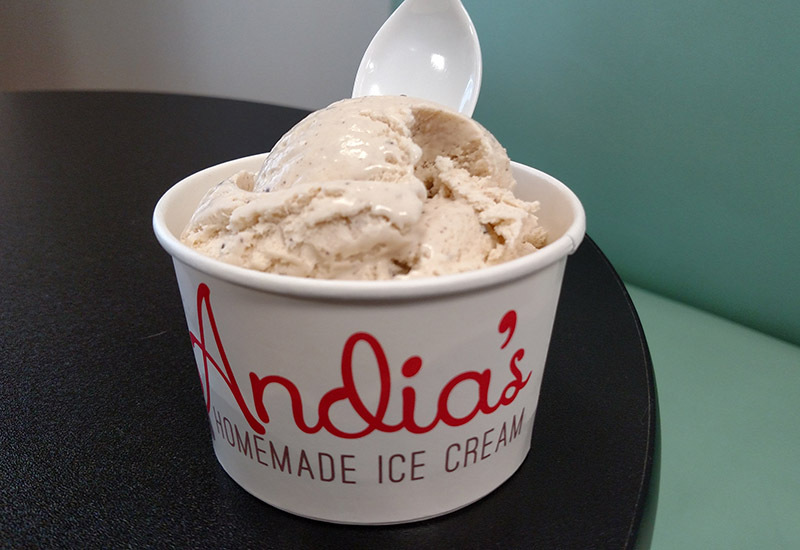 Cary, NC – In their first entry into the largest national competition for ice cream makers, Andia’s Homemade Ice Cream in Cary finished with the second-highest score of any entrants, earning this honor the same year they opened their first physical store. Andia’s Homemade Ice Cream, located on Green Level Church Road, entered the competition at the 2017 National Ice Cream Retailers Association (NICRA) conference in November. Through entry fees, NICRA hires a team of judges from the University of Minnesota’s dairy science department, led by Department Chair Tonya Schoenfuss. Andia’s started as an ice cream catering company for corporate events and weddings in 2014 but owner Andia Xouris has been attending the NICRA conference since 2011, though never entered. “I’ve been making ice cream full-time for four years now. I got to a comfort level with my skills to compete,” Xouris said. 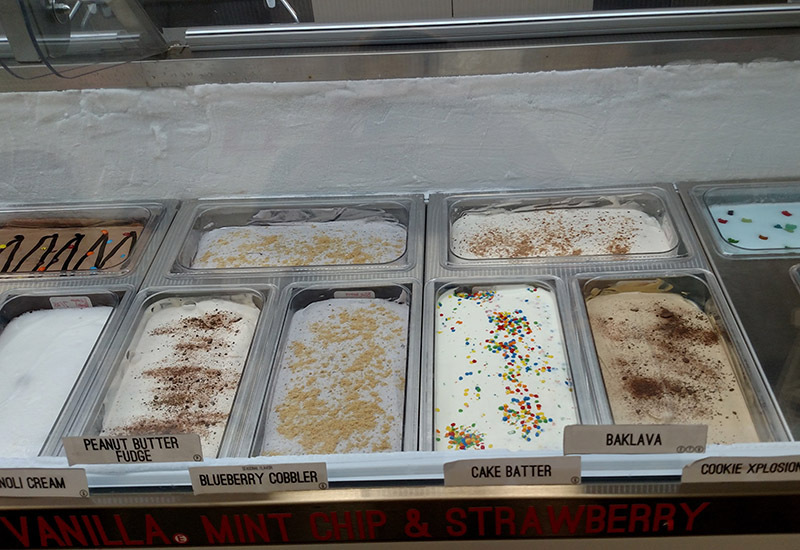 Each entrant’s ice cream is judged anonymously on how well it adheres to 40 different parameters, taking into account everything from texture, crystallization, butter-fat content, viscosity, how consistent the ice cream is throughout, color, mouth-feel and flavor. 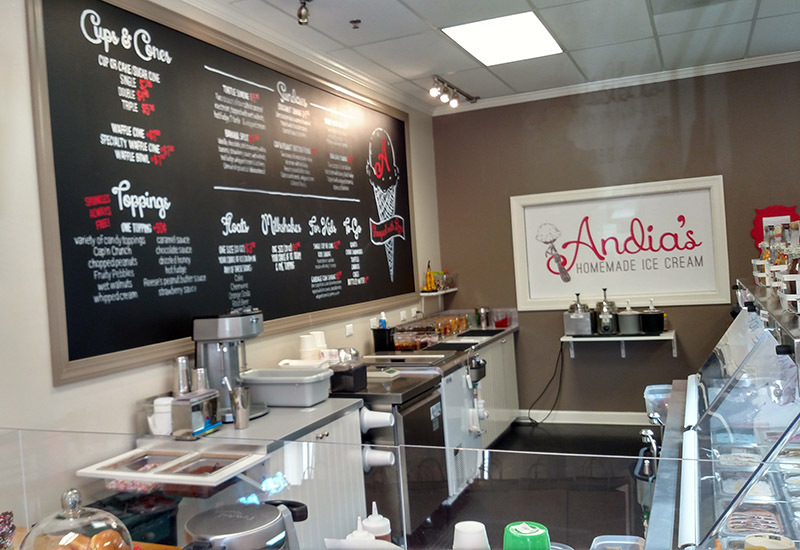 Competing in a field of other independent ice cream shops, Andia’s earned 32.5 points out of a possible 35. The ice creams judged by the University of Minnesota team are judged on their own merits and not compared to other entrants. Analysis is logged rigorously and weighed for statistical relevance. Each year a different flavor is judged at the NICRA competition: either vanilla, chocolate or strawberry. This year, the flavor was French vanilla. Andia’s physical store opened in August 2017 and Xouris said it has been a big change. Xouris also added the transition would not have been possible without George coming on full-time.